May 26th officially marked the end of rugby season with the Aviva Premiership final, in which Saracens became the champions by beating the reigning champions Exeter 27-10. 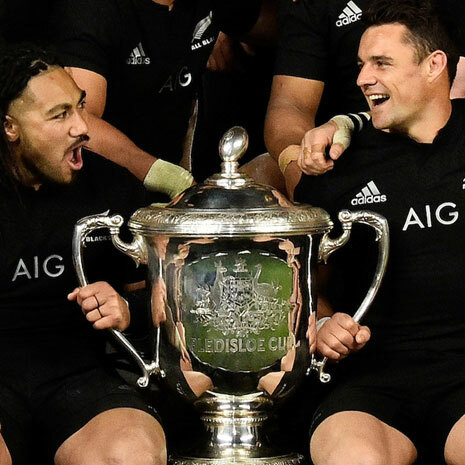 Even if Sarries were not your favourite to win the 2018 competition, it is now time to celebrate the superb and highly competitive season, the sportsmanship and the sport. The best way to do so? Pick up a bargain in our end of season sale and get kitted out at unbelievable prices. 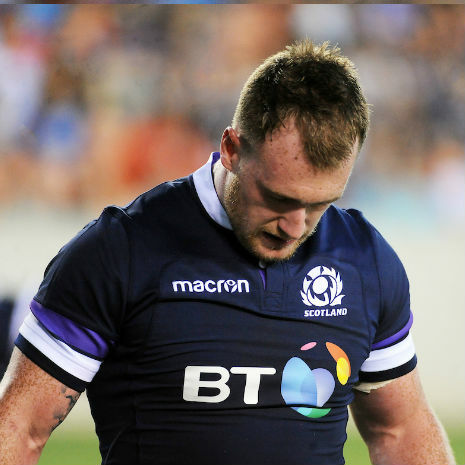 With rugbystore’s end of season sale, get 50% off (or more!) on rugby boots, replica rugby shirts, t-shirts and hoodies – for men, women, and kids. With such fantastic savings across hundreds of products, it can be difficult to search the whole range – hence why we are bringing you the top 10 steals from our end of season sale that you do not want to miss out on. In no particular order, here are some of our favourite products, at half price! Starting with the Premiership winners, we have selected the Saracens’ training jersey for the 2017/18 season. 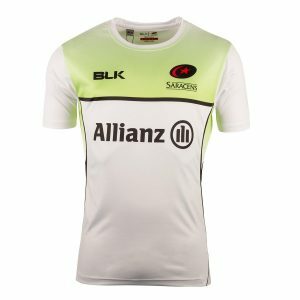 With a green and white design, the t-shirt features the famous Saracens logo, as well as the sponsors’, Allianz and BLK. In 100% polyester, the jersey has a perfect athletic fit and performance. Previously retailing for approximately £32, you can get it now for £15.99 only! You shouldn’t be surprised to see this product on our list, as this is yet another winners’ official gear. This top steal is Ireland’s 2018 training shirt. 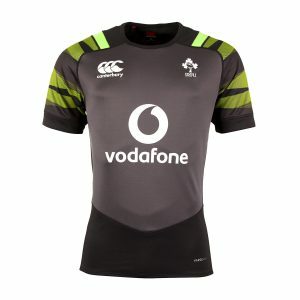 The Six Nations Champion’s training shirt is made of 100% quick-drying VapoDri polyester and has the distinctive IRFU and Canterbury logos embroidered on the front. 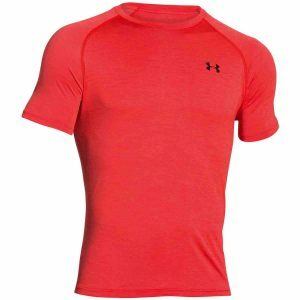 Ideal for training, you can grab this shirt for £28.99 – down from £57.99! If you have been keeping an eye on the World Rugby 7s Series this year you’ll definitely recognise this. 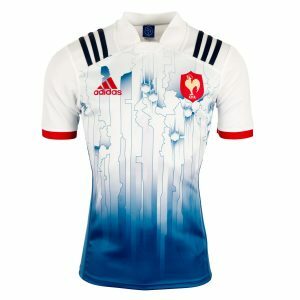 Created in collaboration with adidas, the 2017 France 7’s shirt is an iconic style meant for ultimate performance, with climate fabric designed to wick moisture away from the skin, keeping you dry and comfortable. The best part? Before it cost £62.99, you can now buy it for £31.49 only! From France to its neighbour, Italy – our next top steal is the classy 2018 Italy training shirt. The training top comes in navy, with beautiful gold details around the shoulders. 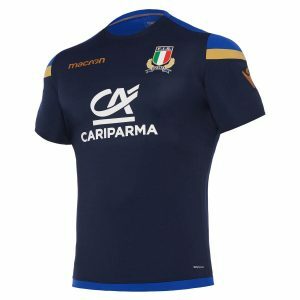 On the front of the shirt, you will find the Italian badge embroidered, as well as Macron’s and Cariparma’s logos. 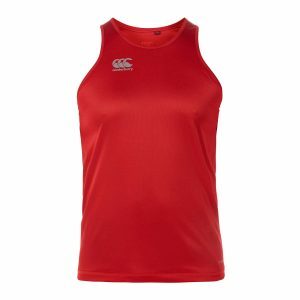 Lightweight and breathable, this top is perfect for training or the gym, and it can be yours for £16.49 only! 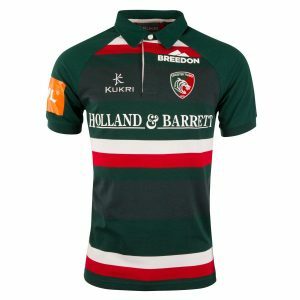 We could not leave the Tigers off this list, the classic 2018 Leicester Tigers home shirt is also 50% off! In the traditional colours and style with sublimated logos and sponsors, the 100% polyester evaporex shirt is perfect for the gym, training or simply showing your pride and loyalty to the Tigers. The famous design generally retails for approximately £57, but you can get it now for £28.49! If you know of a little rugby fanatic, this next steal is for you. 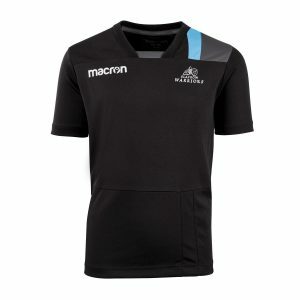 This juniors’ Glasgow Warriors training shirt has the classic club colours on the left arm, along with the club’s and Macron’s logos across the chest. As a combination of 50% cotton and 50% polyester, the jersey is ideal for training or for supporting the Warriors at Scotstoun Stadium. Get it today for £12.99 only, instead of the usual £25.99! Apart from official jerseys and merchandise, we have also selected a few essentials for training or the gym for unbelievable prices. It might not be the classic time to purchase rugby boots, but with savings up to 50% of their cost, we think it is too good to pass! 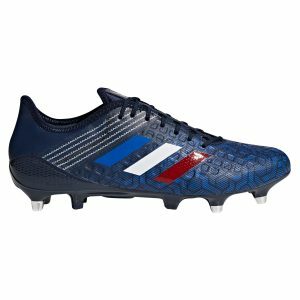 We have selected the adidas Predator Malice Control, as they are lightweight, designed for precise and powerful kickers, and with non-stop grip control. Traditionally sold for approximately £170, you can now get these outstanding boots for £84.99 only! This t-shirt feels like your standard cotton tee, but it is so much more than that. This lightweight top has the perfect amount of stretch for great mobility, and the Heatgear fabric moves moisture away from your body, keeping you cool, dry and comfortable, for less than a tenner. Grab it now for £9.99, previously sold for £19.99! Sweat it out in the gym in this lightweight polyester training top, which will keep you dry and comfortable due to its moisture-wicking properties. Previously retailing for £16.99, grab a piece of exquisite Canterbury quality now for £8.49 only! 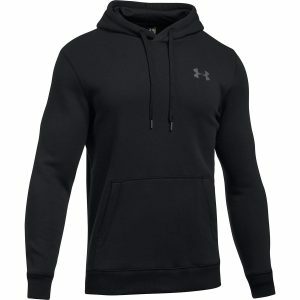 Our final steal is the Under Armour Rival Fleece Hoodie, a stylish and comfortable top, with a fitted design and soft touch. Made with the iconic heatgear fabric, it will keep you feeling cool, dry and comfortable as you work out. This street style staple would normally set you back approximately £45, with our sale it will cost you only £22.49! That’s all we have for you today. Feel free to explore our wide range of clothing and equipment to find the perfect steals for you. Get free standard delivery on orders over £65 and, if you order before 1 pm, we’ll despatch it that same day. Hurry up – huge discounts on limited stock until July 11th. Check out the sale here! Which one of these steals is your favourite? Let us know in the comments below or over on our Facebook or Twitter pages.